Michael Zupkofska, a former Rockland Selectman, was arrested last Monday in Hingham on Massachusetts OUI / DUI Charges. 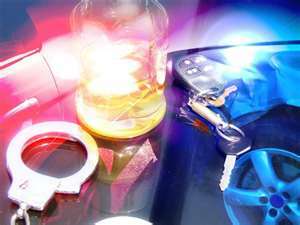 He was arraigned on Tuesday and charged with Operating Under the Influence of Alcohol. According to the Hingham Police Department, Michael Zupkofska was arrested after witnesses allegedly observed him driving over the curb as he was turning from one street to another. A Hingham Police Officer was parked nearby, who reported that he heard a loud ‘bang’, and then came across Zupkofska’s car, which had eventually stopped at the approach of the police. Hingham Police who approached Zupkofska’s car reported that his eyes were “red and glassy and three-quarters closed”; and that he fumbled with his registration and took out his wallet in a “clumsy” manner. If that were all there was, Michael Zupkofska certainly had a very tremendous case for trial and in beating these OUI Charges. The police allege, however, that Zupkofska allegedly admitted to having had “a couple of drinks” and that he also submitted to four Field Sobriety Tests. Although an admission to drinking and allegedly failing Field Sobriety Tests not fatal to a defense of the charge of Operating Under the Influence of Alcohol, it certainly creates more work for the attorney in challenging the prosecution’s case. After all, everyone stopped for suspected drunk driving has the right to remain silent and not answer an officer’s questions, especially about what he/she had to drink that evening, if anything; and you CAN refuse to submit to any Field Sobriety Tests! Michael Zupkofska had served as a Selectman in Rockland for three years, from 2007 through 2010. He had also been previously charged with Operating Under the Influence of Alcohol in Rockland in 2001. Boston DUI Lawyer Lefteris K. Travayiakis is available 24/7 for consultation on all Massachusetts OUI / DUI Charges, including, Driving Under the Influence of Drugs or Alcohol and Negligent Operation of a Motor Vehicle. Click Here for a Free Consultation with a Boston OUI Lawyer and to discuss your Massachusetts Drunk Driving Charges, or call 617-325-9500.